The RAJA-Danièle Marcovici Foundation was created in 2006 on the initiative of Danièle Kapel Marcovici, CEO of the RAJA Group. Placed under the aegis of the Fondation de France, the Foundation implements actions of solidarity and patronage dedicated to the emancipation of women, in France and internationally. Since 2006, the Foundation has gradually extended its scope of action to articulate its commitments around three major missions. These missions are directly in line with the 2030 Agenda for Sustainable Development and its 17 Sustainable Development Goals (SDGs) – adopted in 2015 by member states of the United Nations Organization – to engage the world on a sustainable and resilient path. Bonjour, Cet article peut vous intéresser : https://www.fondation-raja-marcovici.com/en/the-foundation/our-missions.html. Because the inequalities and violence suffered by women are often overlooked and ignored, the Foundation wishes to contribute to emphasize both the urgency and the need to mobilize civil society and more broadly all socio-economic actors on women’s rights. The Foundation conducts awareness raising activities on the cause of women among different types of public. It shares its expertise and encourages exchanges of experience based on the results of supported projects in order to improve the effectiveness of actions in the field and to contribute to the scaling up of lessons learned. To do so, it establishes partnerships with other foundations, financial sector actors and institutional actors. – participation in events here. Embedded within the RAJA Group, the Foundation’s mission is also to involve the employees of the company in its action and the cause it defends, while encouraging them to engage with it. More broadly, it sensitizes the Group’s customers and suppliers through its actions. 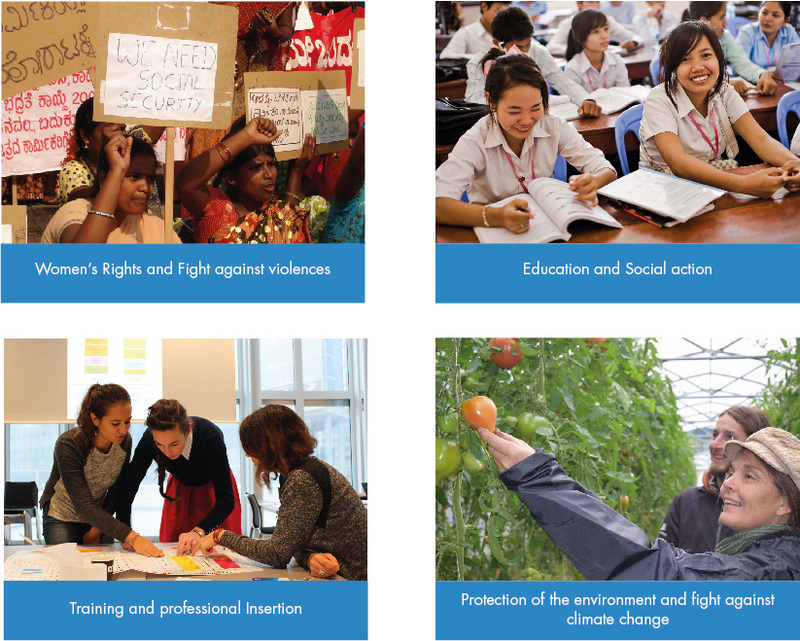 Launched in 2013, the RAJApeople programme offers RAJA France employees different ways of involving themselves to support actions in favour of women: the micro-donation (or wage round-up), volunteering skills, sponsoring projects and participating in solidarity events organized throughout the year within the Group. Since 2015, the Foundation has been developing its activities throughout the Group and regularly mobilizes employees from the 18 European countries where RAJA operates.